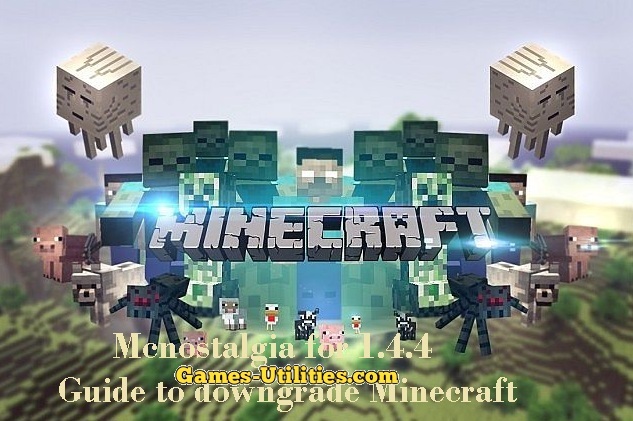 MCNostalgia Tool for Minecraft MCNostalgia is a 3rd party command-line based program intended for Minecraft which allows you to downgrade your existing version to an older version within a few minutes. For e.g. You can downgrade to lower version and so on. This program comes handy when trying you want to play on old servers and modifications. Description: A tool which is used for degrading Minecraft patches. * Run the executable file or python script depending on the operating system. * Upon completion, Run Minecraft to check. .• It takes a while to convert to older verion so be patient.